Islamabad: The Pakistan Army on Wednesday termed "continued" ceasefire violations from the Indian side as potential threat to the regional stability. The stance came a day after a civilian died from his injuries caused by "unprovoked indiscriminate" Indian firing in the Khoiratta sector of the Line of Control (LoC). 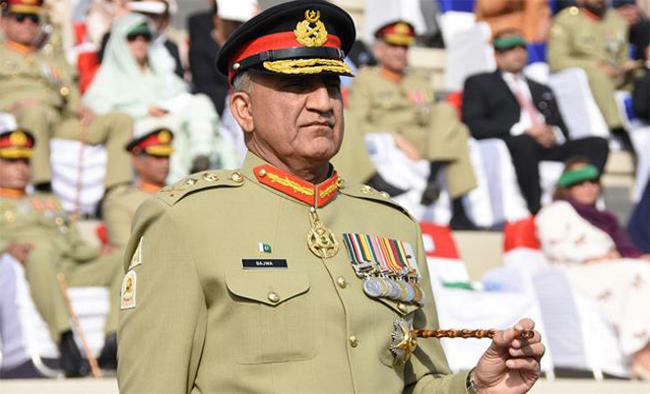 Army chief General Qamar Javed Bajwa chaired a Corps Commanders conference at the General Headquarters in Rawalpindi that viewed the "continued unprovoked" ceasefire violations by India along the LoC and International Border as "potential threat to regional stability", a statement issued by the Inter-Services Public Relations said.